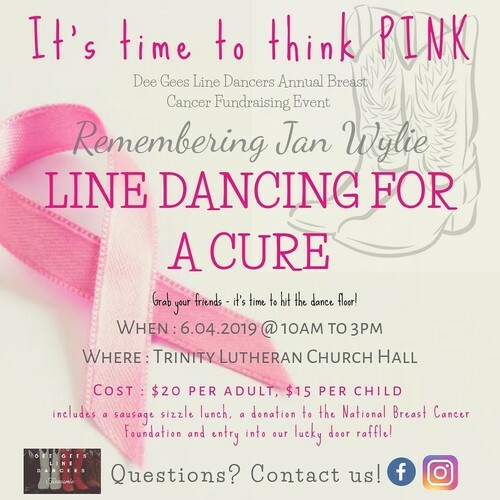 Annual fundraiser for the National Breast Cancer Foundation in honour of the loved and missed Jan Wylie (Australian Line Dancer and Choreographer). Tickets include entry to the event, a donation to the NBCF, a sausage sizzle lunch and entry into our lucky door prize. family friendly fun for all ages and dance levels. This is a request social so get your requests in ASAP if you want to dance a particular dance on the day.